LaBell Exchange provides advanced message delivery services for commercial and municipal clients throughout Southern California. Using our advanced technology from Startel, we are able to reliably answer your calls and handle them exactly as you wish. We can deliver your messages via phone, fax, email, or text; or we can keep your callers on the line and patch them through to you if they meet your specified criteria. At LaBell Exchange, we take the time to fully customize each advanced message delivery system and related procedures to meet each company's unique preferences and needs. This can be particularly important for those who work in healthcare and frequently need to answer urgent medical questions; attorneys who need to make sure they connect with their clients; towing companies that need to be reachable to stay on the CHP's preferred list; and any other business that wishes to stay accessible for specific scenarios and clients. We can also arrange for call recording and forward all messages to you the following day with detailed call statistics (how many calls came in, how long each call lasted, what was discussed/done, etc.). Call LaBell Exchange today to customize an telephone answering service that meets all your advanced message delivery needs. 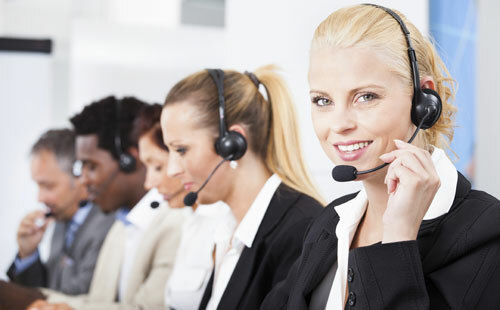 We are an award-winning call center with nearly 40 years of experience that is highly regarded in the industry and among our clients for our professionalism, accuracy, courtesy, response time, and customer service. Our call center specializes in serving the needs of property management companies, medical/dental offices, health care providers, law firms, bail bond companies, municipal water districts, service companies (towing, equipment rental, plumbing, HVAC), and more. Our service area includes San Diego, Los Angeles, and Orange County.